CTR is the rate at which your PPC (Pay-Per-Click) ads are clicked. This rate is the number of people who view your ad impressions and those who actually click through it (“Impressions” refers to the number of times the ad is being viewed). If your ad impressions gets low number of clicks, your ads will have a low click-rate through. As an advertiser, your ultimate goal must be increasing your CTR so that you get the maximum benefits – bring more people on your landing pages and gives you great results that justifies all the money you’re spending for these marketing campaigns. 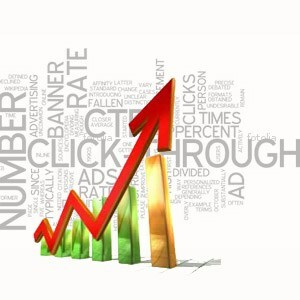 Why Click-Through Rates is Important for Your Business? Click-Through rate is crucial to any marketing campaigns as it directly helps to gain high Quality score. Search marketing platforms such as Google AdWords offer discounts on pricing for ads that are highly relevance to the search phrases. So, if your ad copy is relevant and satisfies Google searchers, your ad will get a higher Quality score. a) High CTR rates leads to high Quality scores. b) This high quality ad score will allow you to maintain or improve ad position in relatively lower costs. c) Achieving high CTR also means that you’ll be driving a lot of traffic to your offering. What Makes A ‘Good’ CTR? Yes, your CTR will not be the same for all your ad campaigns. The campaign will change and vary from one keyword to another. Likewise, the click-though rate will also change from one keyword to another. Everything that goes into making your ad display on Google and other search engines plays a huge part into achieving the click-through rate. Your ad copy, the keywords used in it, the relevance of the copy, and its rankings – all play an important role to get a ‘good’ click-through rate for your ads. Although you want to get a ‘high’ click-through rate, honestly speaking, there’s no magic bullet for this. And certainly, you do not want to achieve a high CTR that could actually be bad for your business. When High CTR Can Become Bad For Business? If you are using irrelvant keywords or keywords that are competitive in your ad copy, then a high CTR is going to be bad for your business. These ad copies does not help generate leads, sales, and branding gains because they do not ‘target’ relevant audience. Irrelevant ad copy will only spend your money without bringing customers to your business. When you are actually paying for every ad click, why not make it relevant and try to target people who are really interested in? Sometimes keywords are priced way too high and if you’ll be generating high CTR through it, it may not profit you even if they convert. Keywords that will make you profit. First of all, you want to target the ‘right’ keywords for your ad copy. Create a brief and relevant ad copy. Then, finally, achieve a good click rate through by getting as many people to click through those ads. What a PPC Advisor Should Offer You? a) List of targeted keywords you can bid on. b) Cheaper and cost-effective click alternatives that will save you money. c) Tools and marketing tactics that will tightly integrate your AdWord keywords with the ad copy and the landing pages. d) Segment keywords into categories to bring targeted visitors on your site. If you are not sure where your CTRs need to be, then contact us to get a FREE report that will analyze your current AdWords click-through rates. Click through rate analysis can never get this easier! So you have set up your e-commerce online store with product pictures, specifications, features, and pricings, but you haven’t seen the number of people visiting on it go up? It’s time that you look deep and analyze why you aren’t reaching out to the “right” kind of people. Most of the time, people are usually leave their product page that contains specifications, pricings, features in bullet points, and technical jargon product description that doesn’t help both search engines and your visitors know what you’re selling. Othertimes, the content simply aren’t specific enough to target buyers in the market because you may not be using proper keywords phrase that people often use to search for products like yours. Writing “content-rich” product descriptions means including as much information about a product or services in an easy to read manner. Before writing product description, it’s better to think about all the possible keyword terms your “targeted” audience use to search for it. Once you have the list of keywords, you next job is to create a thorough description that includes those keywords. Make sure to include those keywords in a natural way. “Unnatural” keyword stuffing will only lead to Google punishing your site. Make sure to use easy to read, jargon-free, and informative content that includes your major keywords. Once you’ve creating “content-rich” product reviews, do not be tempted to leave it just like it or promote using social media sites or article submission articles. Remember Google loves information rich resources that help their users find what they’re looking for? “But what’s wrong with the “content-rich” product descriptions we created earlier?” I hear you scream! I can understand but unless your website is a well-established site like Amazon, you cannot get high rankings for your product descriptions. In other words, you cannot just rank for product descriptions. In Google’s eye, you have to establish yourself as someone who’s passionate about their niche: someone who likes to share ideas tips, and more free information to people who are searching for. So go ahead and just do that. Create a blog section and publish posts that are relevant to products on your online stores. If you’re running out of ideas, you could share the benefits, pros, cons, or write honest reviews, and so on. Include links to your product pages to allow people to navigate to your store when they’re ready to buy products from you. Now that you have a great product description and blog posts, your online store is ready for traditional marketing techniques. You can be creative here and use your imagination to share your content in number of ways, including writing guest post for others, submitting useful tips on content sharing sites like Dropbox, or submitting them on articles directories and your social profiles. Personally, I share my content on social profiles like Facebook, Twitter, LinkedIn, and Google+. Make sure to join “highly relevant” groups there to reach out to the “right” target audience, really fast. During publishing your blogs or product description pages on external sites as mentioned above, make sure to include a backlink in the signature, or author box. Include keywords or title of the landing page on the “name” field, the actual landing page on the URL field, and offer a thoughtful comment on the blog or forums you’re dropping your content. This way, your articles, comments, or threads are more likely to be accepted. In order to rank higher in search engine results, your website has to be well-established and active on third-party websites, your social profiles, and other external websites. Do not settle if you’ve managed to reach the “right” audience after performing the above four steps. You can still go one step further to “truly” establish yourself as an industry expert. Once you’ve managed to create a strong online presence, you do NOT have to invest anymore. People on your networks will help promote your business automatically. So do us a favor – post a brief product information and blog content on your social media profiles. In addition, bookmark your content on popular social bookmarking sites. When Google finds that your backlinks are coming from variety of sources, not just from search engine results, automatically they’ll love your online store and increase your rankings. We would like to hear from you. Tell us any handy tips to reach out to the right audience for your e-commerce website (comment below). If you are just starting out your online business, even if you have a strong offline business, you’ll soon get lost into the sea of the Internet – there are thousands of people competing to be on the first page of Google because there is where the competition is. But ranking on the first page of Google isn’t an easy walk in the park. You need to set yourself as an industry expert in your niche so that people will trust you, visit your site often, order what you have to offer, which ultimately contributes into setting up a strong online brand. So you see, you simply cannot overlook the online reputation of your business, but here are few tips. Your potential customers won’t go beyond the first page to find the information, products, and services your offer. So, if you’re NOT in the first page for brand keywords, no one will find you on the Internet. As a result, few people will know who you are and what you represent. In order to build a strong online reputation, you have to rank on the first for at least some of the major niche-related keywords. To rank for keywords, learn the basics of SEO or hire a professional SEO consultant to look after your site. Follow these 3 simple steps to optimize and promote your site. Next you’ll have to take charge of your online business as online reputation doesn’t come out of a thin air. You have to be active online, but it doesn’t mean spending hours on the Internet either. Simply post a fresh content once or twice a week, offer customer support on your social profiles, and you’re done! Over time, you’ll have more useful content than your competitors. As a result, you’ll stand out in the eyes of your potential customers. Once you start to get a decent number of traffic, Google and other search engines will see this as a positive sign (you have something valuable at your site), and hence, they’ll display your website content over others. Bingo! You have a strong online reputation than your competitors. All your hard work pays at the end, though. So start a blog, share your ideas, thoughts, product offers on social media sites like Facebook, Google+, LinkedIn etc. Make sure to keep things fresh, fun and balanced! People may say anything about your business as you don’t have control over it. But you have total control over one thing – i.e. the quality of your services and products. So, focus on offering products and services that will help solve people’s problems and enhance their life. When you have more happy customers, their positive reviews and feedbacks will help create a strong online reputation for your business. Ask each of your happy customers to write honest reviews about you (if you want to become an expert), your business and its products. Most entrepreneurs sigh away from asking their customers thinking they’re too busy, but in fact, your customers will be more than happy to share their positive experience using your products and services if it truly helped them solve their problems. If you find some negative comments about your business for valid reasons, contact them personally and apologize. Issue a refund for their losses, and follow back with emails as how their problems are taken care of. However, if the negative reviews are totally “invalid,” do not get angry at them, even if it was a fake post written by your competitor. Instead, contact them personally, and send an email regarding how you could take positive steps to ensure better customer service. Wondering which are the profitable and proven niche to invest your time, money, and energy to make MORE money online? Well, you see, the most profitable niches are usually the ones that most people are looking to solve their pressing issues they’re facing (consider “weight loss” niche for example). Other niches are based on their passion, hobbies, and interests (e.g. video games). In addition, if you think about all the areas of life that you’d like to have success in – money, health, career, finance, investment, business, etc – you’ll probably have plenty of niches to target for. So here to our top golden 5 niches you can build your business around to generate HIGH return on investment, very quickly and cost-effectively too. Everyone seems to suffer from weight gain, also known as round belly, or cellulites, making them look aged even though they’re quite young and attractive. In the health and wellness niche, most people are looking for quick and safe ways to feel better, reduce the aging process through proper exercise and healthy eating habits. Almost 80% of the people suffer from health related issues, and the number continues to grow. So, here are some of the most popular health related niches you can focus on to create a high profitable site, starting today! After health comes another important aspect of living a fulfilling life – i.e. love and relationships. Today, most people live a hectic life because of their career that finding time for love life seems almost impossible. Every single men and women wants to be in a healthy and loving relationships with their partner, or at least keep it alive and kicking, but they usually do NOT know where to start from. Most people go online for quick and easy access of information. People are constantly looking for “how to” tips on dating, marriage, parenting, family, and building a strong and intimate relationship with their partners. If you have an interest in this section, you can start a very profitable dating websites, either promoting your own products or services (which will take time), or promote other’s products and digital ebooks as an affiliate. Making money will be the next BIGGEST and PROFITABLE niche in our list as it’s NOT only growing fast, but we think the trend will continue to go on for years to come. After heath and relationships, most people have a pressing issue to earn enough money so that they can quit their 9-5 job and pursue a career/business venture they’re interested in. Most people think the make money online is getting saturated, but that is far from the truth! In fact, every day, more than 50 thousand people using the Internet search for “how to make money online,” or “working from home.” So we highly recommend you focus you efforts on creating a site around these sub-niches under making money, and you’ll see results, very fast! After health, love, and money, what else will people search for? If you put on your thinking cap, you’ll realize that every individual have a burning desire to lead a fulfilling, quality, and happy life. That is why most people spend so much time to find a new interest or hobbies so that their life doesn’t become “stale” often. So, if you’re interested in any sports, games, or have a knack for singing, playing, and dancing (see some suggestions below), there will definitely a market for that. Just consider these top hobbies related niche to quickly make some good cash from home! Personal development is a HUGE market with lot of potential, but you’ll need to narrow it down to sub-niches to create your very own space within that market and generate more online revenues. There’s plenty of opportunity for you to profit from, and if you pick something that you’re interested in and put 100% of your effort, we’ll guarantee you’ll generate HIGH ROI for your business, very fast. 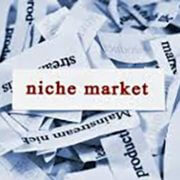 Top 5 Online Niche – To Wrap it All! All of these top 5 niches are broad and very competitive. So make sure you narrow them down to become target more specific customers, which usually has less competition. Focus on low competitive keywords first and try to rank for it to get fast results. After setting up a site, make sure you use social media sites like Facebook and Twitter to drive traffic! So you have managed to grab the attention of your readers through search engine result pages (SERPs), and you’ve made them click through the title and made them visit your site. The visitor on your site is a lead who can be funnel into the sales channel to convert them into a long-term buyer. This is one of the ultimate purposes of having a business website, especially to increase conversion rate and generate more sales revenue. If this wasn’t one of your purposes, you’ll be certainly out of business sooner than you’d realize. A new visitor lands on your web page. They visits different sections (pages) of your site, even read few blog posts, and after few minutes on your site, leaves the site, without leaving anything behind for you – i.e. their name, address, or email address, or their phone number. As a result, you have NO way to reach this visitor whom you could have a turn into a loyal customer, if you knew how to do it. Listen, every visitors to your site (lead) is a prospective client for you business, and you must be ready to collect their information before they leave you forever. If you do NOT know how to collect leads on your site, I’ll show you few simple methods to collect your prospective client’s information – i.e. their email address, phone numbers, address, and so on. Newsletters Signup forms or boxes are useful tool to effortlessly and quickly grab your lead contact information. They have two fields, name and email address, to grab the information you need to follow up with your prospective customer. AWeber and MailChimp are the best list building tools available on the Internet today. You can easily setup the “newsletter form” using their pre-set templates and changing few settings, and voila, you have a simple, yet powerful newsletter signup form on your site. Besides newsletters, you can also grab your lead’s contact information through a web form on a particular page such as “request a quote” page, or “contact us” page, in general. Unlike newsletter signup forms, contact us/ request a quote forms has few more additional fields such as “subject,” “phone number,” “website URL,” among few, but they must always be optional to make it hassle-free to contact you. Do not scare your visitors away by including “fax,” “address,” and other unnecessary items. Keep it simple! Here’s another simple little trick you can use to collect leads on your website – at the end of the page, offer free products (ebooks, audios, seminars, videos, etc) relevant to the content on that page. For example, if your visitor lands on a “how to generate more traffic” page on your blog post, include a relevant FREE ebook on “30 Killer Ways to Increase More Site Traffic for FREE,” at the end so that they can download it in exchange of their name and email address. Not only this method gives additional information regarding the topic that’s in the book, but it also gives your readers a reason to leave their contact information (name and emails address) on your site – i.e. exchange something for something else. Offering freebies on your site is a very powerful method to effortlessly stay in touch with your prospective client! Create a video about you and your business – using a camcorder or a mobile phone – and upload it on YouTube. If this video goes viral, you may want to put it back to your website too. You’ll surely love this strategy, especially when the “link juice” starts flowing to your site. Promote your YouTube videos using Facebook PPC ad campaigns. Facebook users like entertaining and informative videos, and if you can deliver this, don’t be surprised to find buyers from free traffic. There are several simple, yet effective ways to get free leads on your site, including email signatures, forums author box, or simple “call to action” at the end of your articles, pages, or blog posts. Most visitors really do NOT know what to do after reading your content. Placing a “strong” call to action will definitely compel them to take some action. Remember the golden rule of engagement? You’ll need to offer information as well as strong call to action to keep things balanced. People do NOT always visit your site for tips only. They also want to see what you have to offer them and how they can quickly access it. We would like to hear from you. Tell us what strategies you use to GENERATE more sales leads on your site? Comment below.